A native of Newnan, Georgia, Chef Chip Reed travels the U.S. to find stories about unique foods, cooks, and chefs that he features on his Chip's Picks podcast. 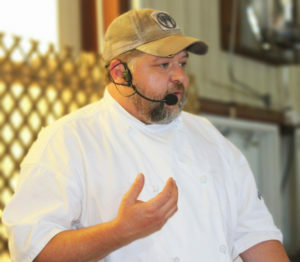 Chip has served as the catering director for Zac Brown's Southern Ground where he was responsible for one of the largest mobile kitchens in the world. During this gig, he successfully showcased the custom 53-foot Featherlite at the World Food Championships, Super Bowl 51, the 143rd Kentucky Derby, and Atlanta Motor Speedway. Owner of Carmen Johnston Gardens, a nationally renowned commercial, residential and wedding flower and garden design business, Carmen’s work and effortless entertaining style gained national attention from Southern Living magazine’s garden editors. She serves as a garden lifestyle expert for the magazine and the popular Southern Living® Plant Collection. Lauri Jo Bennett has spent the last 10 years working with local growers and suppliers to bring customers the agricultural bounty of South Georgia. 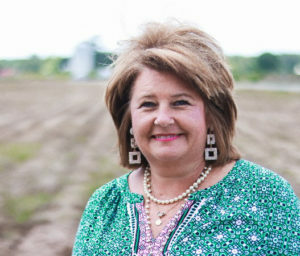 She is an active participant in the agri-tourism movement and has worked closely with the Georgia Department of Agriculture to promote the “Georgia Grown” label. All of her recipes were handed down from her great-grandmother. That’s why Lauri Jo’s products taste like your grandmother’s. 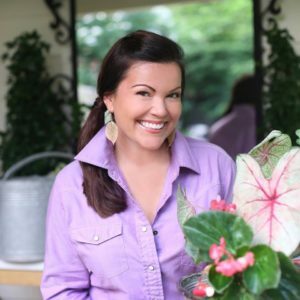 Lauri Jo of Lauri Jo's Southern Style Canning and Garden Lifestyle Expert for the Southern Living Plant Collection Carmen Johnston will be onstage together for a one-of-a-kind demonstration incorporating food and floral design ideas.